Is your real estate marketing campaign meeting its goals of opening the door to referrals, repeat business, and long-term success? 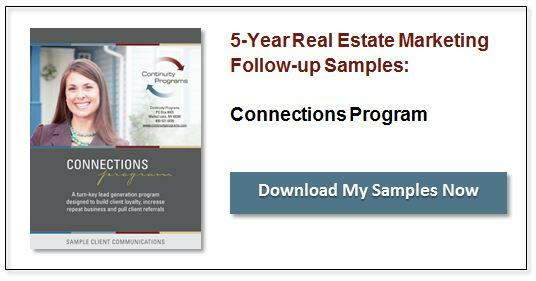 A 5-year follow-up plan that automatically sends customers milestone communications offers a wealth of benefits to amplify and capitalize on your real estate marketing efforts. Remaining in contact with clients yields an undeniable benefit: the opportunity to build referral business that increases your loyal customer base. One of the best ways to stay in touch is through carefully timed, periodic communications. 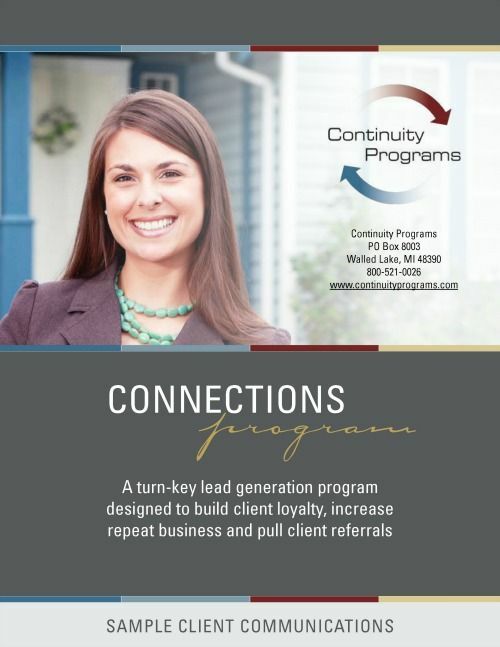 From thank you cards to lead generating surveys, our program lets you automatically communicate with clients. Every campaign we create is tailored to your unique business needs. We make referrals easy by designing and delivering mailings that feature your contact information: direct mail, holiday greeting cards, personalized emails, surveys, and postage-paid lead generation cards. Good, solid communication is the answer to many real estate challenges. For example, the valuable customer data you gather through surveys, questionnaires, and customer satisfaction response cards can help you analyze your business and make improvements where necessary. Daily emails allow you to more quickly respond to hot leads generated from the program. Every month we deliver to you a detailed report of each agent’s client touchpoints. Customer interest reports and satisfaction surveys can be analyzed to give you an in-depth analysis of how customers feel about your firm.